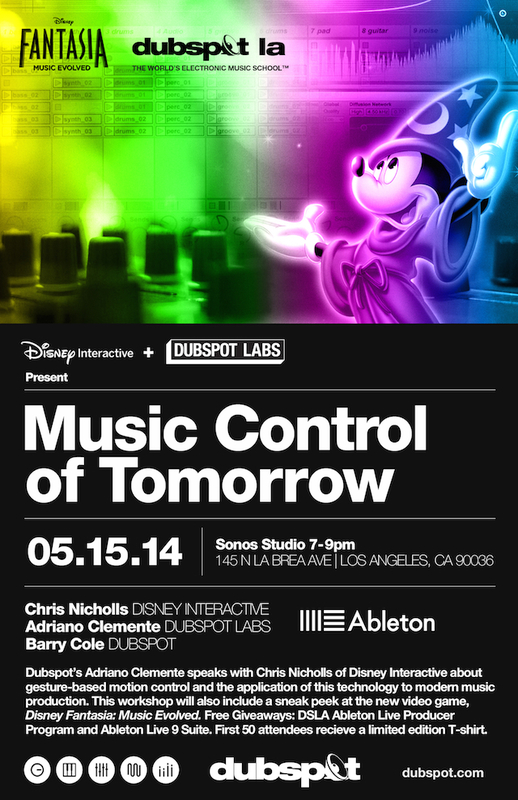 Join Dubspot and Disney Interactive on Thursday May 15th for “Music Control of Tomorrow,” a discussion on gesture-based motion control of music with Dubspot’s Adriano Clemente and Disney Interactive’s Chris Nicholls. Also get a chance to win a free Dubspot Los Angeles Producer Program! 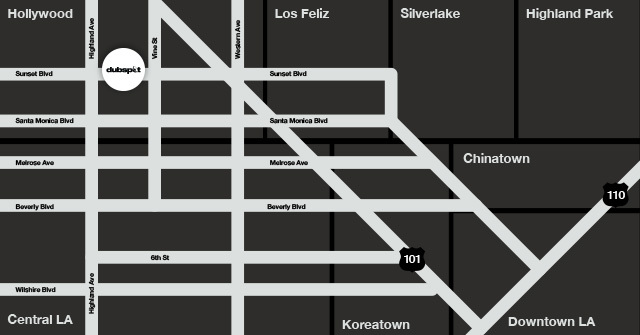 Also, Dubspot Los Angeles’ first Open Houses will take place Sunday, June 1st from 12 – 6pm. Head to Dubspot LA to experience and enroll for courses starting in June. 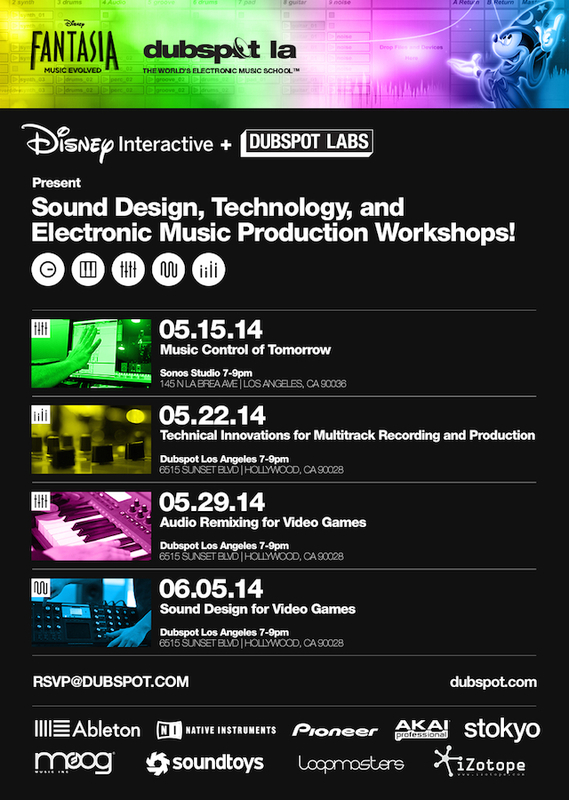 Dubspot Labs & Disney Interactive Present: Music Control of Tomorrow w/ Ableton Live and more! 135 N La Brea Ave.
Lead by Dubspot’s Adriano Clemente, this event will focus on a conversation with Chris Nicholls of Disney Interactive regarding gesture-based motion control and how it can be applied to modern music production. This workshop will also include an exclusive sneak peek at Disney Fantasia: Music Evolved and details about how gesture-based motion control technology is applied in the upcoming game. A Dubspot Los Angeles Producer Program and a copy of Ableton Live 9 Suite will be given away! Giveaways include: Dubspot Los Angeles Mixing and Mastering Program and free plug-ins from Izotope and Sound Toys! Dubspot’s Mixing and Mastering Course Designer Daniel Wyatt and Disney Interactive’s Alexander Rannie examine Disney’s past innovations in audio engineering and future music technology. They will also explore Izotope’s Ozone and the Soundtoys bundle. Dubspot Los Angeles’ first Open Houses will take place Sunday, June 1st. 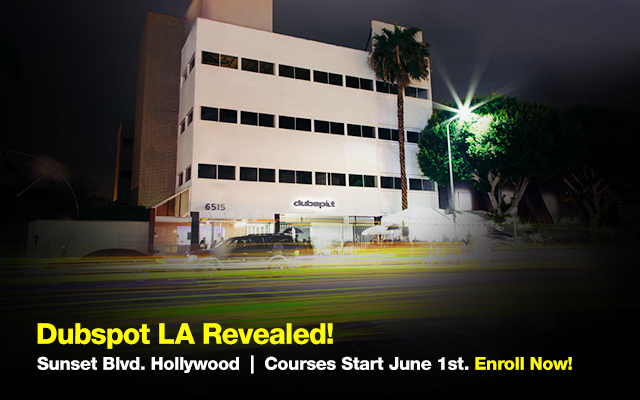 Head to Dubspot LA to experience and enroll for courses starting in June.